Ford bought back-to-back spots and used creative images, like this one, as a teaser. 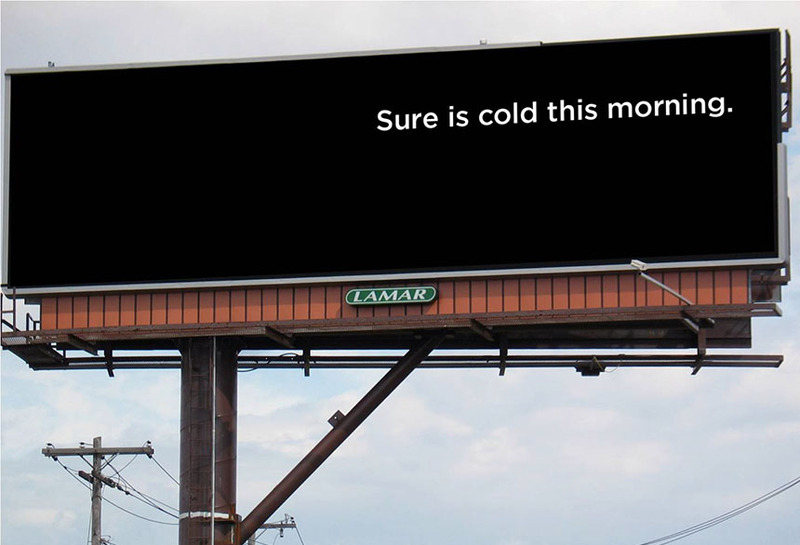 Utilizing Lamar Digital’s weather triggering capability, when cold weather was forecasted, this message would play on the boards. Due to different forecasts and times of day, no one day was the same.